Honey and butter give these sweet potatoes extra flavor, and they're easy to make in the slow cooker. Sweet potatoes are a traditional dish for holiday feasts, but they also go well with meals throughout the year, especially pork or ham. Rather than start with canned sweet potatoes, you will peel and cube fresh sweet potatoes. Orange juice and zest provide an acid note to make these sweet potatoes crave-able, adding a dimension that can be missing if you just bake them with brown sugar and butter. Using the slow cooker will free up your stovetop. For serving, you can allow your guests to dish up right from the crock as part of a meal buffet. Or, transfer the sweet potatoes to a serving dish. Peel the sweet potatoes and cut them into 1-inch cubes. Lightly grease the slow cooker crock. Arrange the sweet potato cubes in the slow cooker. Use a zester or grater to get the zest from one orange, then squeeze the orange to get its juice. In a small bowl, combine the orange zest, orange juice, brown sugar, honey, butter, vanilla, cinnamon, and nutmeg. Heat the mixture in the microwave or on the stovetop in a saucepan. Stir to blend and pour the mixture over the sweet potato cubes. Cover and cook on LOW for 6 to 8 hours, until the sweet potatoes are tender. You can store leftover candied sweet potatoes in the refrigerator for three to four days in a sealed container. Simply reheat them in the microwave to enjoy them. Add a few drops of rum flavoring for a fun twist. Add two chopped apples along with the cubed sweet potatoes. If you don't have any oranges handy, substitute 1/2 cup unsweetened pineapple juice. Some guests might miss the traditional toasted marshmallow topping. If your family insists on it, pour the finished sweet potatoes into a casserole dish, top with marshmallows, and back in the oven at 350 F for 10 to 12 minutes, being careful that the marshmallows are browned but not charred. If you are just venturing away from canned "yams" to fresh sweet potatoes, you'll often find several varieties at your local supermarket. Look for firm tubers that aren't showing any wrinkles or soft spots. You will find varieties that have orange or white flesh. The peels are edible, just as with regular potatoes, although they are usually removed when making candied sweet potatoes. While Americans often call sweet potatoes "yams," they are two different things. 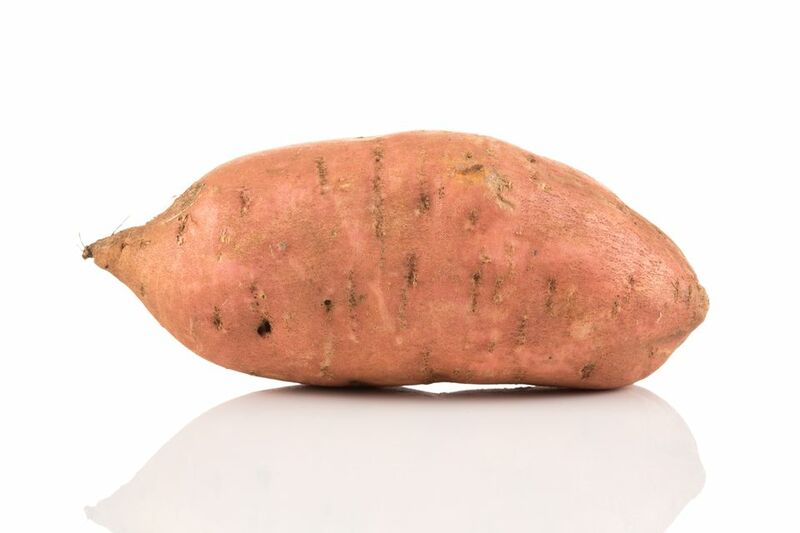 What you find in American markets are sweet potatoes as yams are generally found in African and Asian cuisine and are less common outside of ethnic grocery stores.